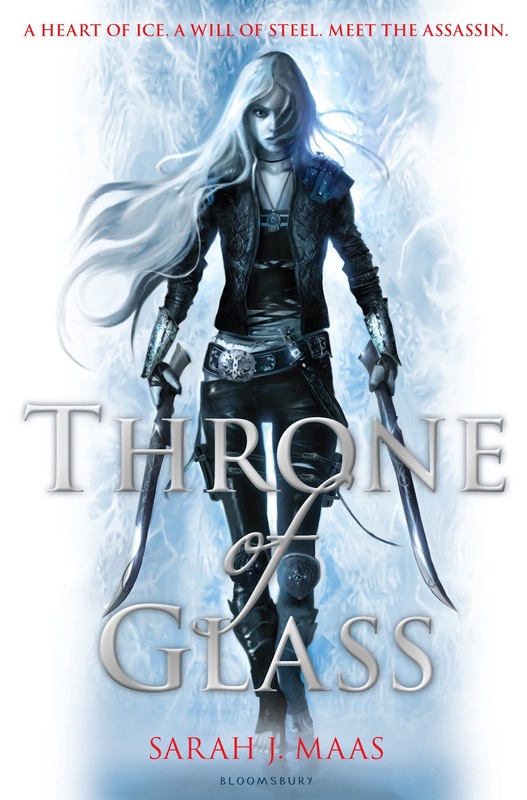 Summary: "After serving out a year of hard labor in the salt mines of Endovier for her crimes, 18-year-old assassin Celaena Sardothien is dragged before the Crown Prince. 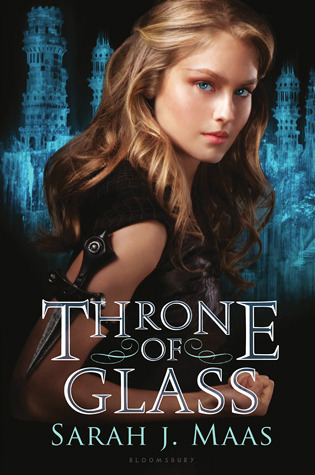 Prince Dorian offers her her freedom on one condition: she must act as his champion in a competition to find a new royal assassin. Her opponents are men-thieves and assassins and warriors from across the empire, each sponsored by a member of the king's council. If she beats her opponents in a series of eliminations, she'll serve the kingdom for three years and then be granted her freedom. This is one of those books that is really hard to review. My feelings are all over the place. I liked Celaena's determination, grit, and surprising emotional depth. She's a bit of a tease, Celaena is, and I laughed along with her as she made fun of the highbrow social conventions around her. The book was funnier than I expected it to be. I particularly enjoyed her banter with Dorian. Captain Westfall and Dorian have a complicated friendship, but there's a strong loyalty between them. You get the feeling that they would just as soon take a bullet for the other person as punch each other in the face. They're like most brothers in that way. Celaena's friendship with Nehemia was also strong and delightful to read about. The Eyelwe princess is a tough, complicated, and conflicted character, as is Celaena, and I enjoyed watching them grow in friendship and mutual respect. Really, the friendship in this story far surpasses the romantic elements. I never found myself really rooting for any of the tentative relationships, although I liked all the characters. Rather, I just wanted them to forget their angst and band together and defeat the bad guys. Unfortunately, that didn't exactly happen. The characters were pretty strong, and the premise was there, but the plot didn't deliver as strong a punch as I was hoping. Celaena is in the midst of a sort of (but not really) secretive Hunger Games-esque competition in the castle, which, because it was so central to Celaena's story arc, should have had a large portion of page time. Alas, it did not. It's a shame, because the scenes from the competition that are included make for some thrilling reading. You get snippets of what the other characters are up to, but I wished so badly that one of them would realize that by working together they could accomplish all their goals. I imagine this will happen in the sequel, but I was bugged that so many otherwise smart people would fail to see this obvious solution. The good guys had personalities, strengths and weaknesses, shortcomings, as well as moments of brilliance. The bad guys, however, were only bad. They were not allowed the character range that the good guys were allowed. As a result, the bad guys came off a little too caricature to be at all scary or menacing. I was not expecting the inclusion of the supernatural. The inclusion of magic was a tad jarring and not fully developed, and I still think I would like the book better without it (and that's coming from someone who loves a good fantasy story) but I grew to accept it as a part of the story. I will continue to read this series, despite my reservations. Although not perfect, Throne of Glass is a fun and compelling read, and I'm looking forward to the sequel.